People who are not privy to the REAL situation of the Philippines are quick to judge Filipinos who are very vocal of their vigorous support for President Duterte. Passionate Duterte supporters explain they simply do not know the real situation in the Philippines. They have no idea about the real truth that is happening on the ground. The same ground where no towering gates will protect you, the ground where majority of the Filipinos strive for survival and not fall prey to any lazy, overzealous criminals. This news file from GMA News simply explains one of the many reasons why majority of Filipinos - recent survey suggests 91% of the population does- are happy and approve Duterte's style of governance. This video shows exactly what kind of corruption lingers in many Philippine government institutions. Filipinos basically said goodbye to these shenanigans when they decided to put Duterte to the Presidency last May 10. Imagine, in a maximum security class penitentiary like Bilibid, inmates were allowed to hold birthday concerts, put up their own studio capable of producing sounds and videos, worst, allowed to sell shabu (methamphetamine) even being incarcerated in a MAXIMUM SECURITY PRISON. The previous administrations failed to stop it, worse, as current investigations suggest, former officials condoned these activities and even profited from it. The former Justice secretary herself is believed to be tolerating such activities, if witnesses in the current Congress hearing were to be believed. 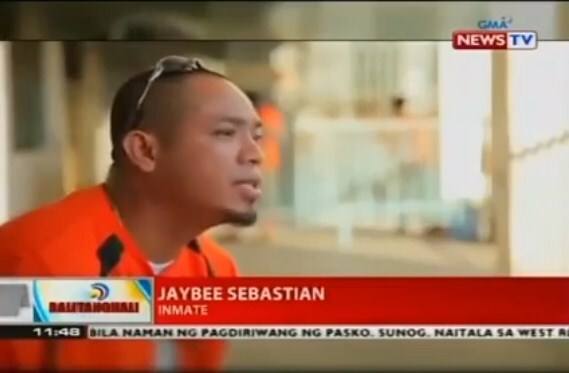 Video from Balitanghali, GMA NEWS. After watching this upsetting news, aren't you happy that this is no longer happening in the country? Let us know in the comments. Follow DUTERTE TODAY on Facebook to get more #Duterte news.